Just as people baby proof a home before they bring their child home, the same caution should be exercised when bringing a puppy home. 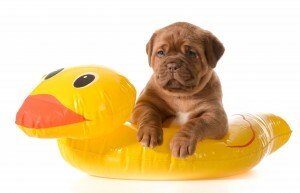 Unlike with an infant, your puppy will likely be highly mobile right when you bring them through the door. Here are some steps you can take before that wonderful day to help protect your new puppy, and your property, from any hazards that may arise. When you spend a significant amount of time away from home and away from your pets, you probably have considered many options for caring for them during the day. Asking family and friends to look in after your pets can be inconvenient if this becomes a normal occurrence. If you want to help with your stress and make certain your pets are safe, here are some reasons why you should choose a pet sitter.